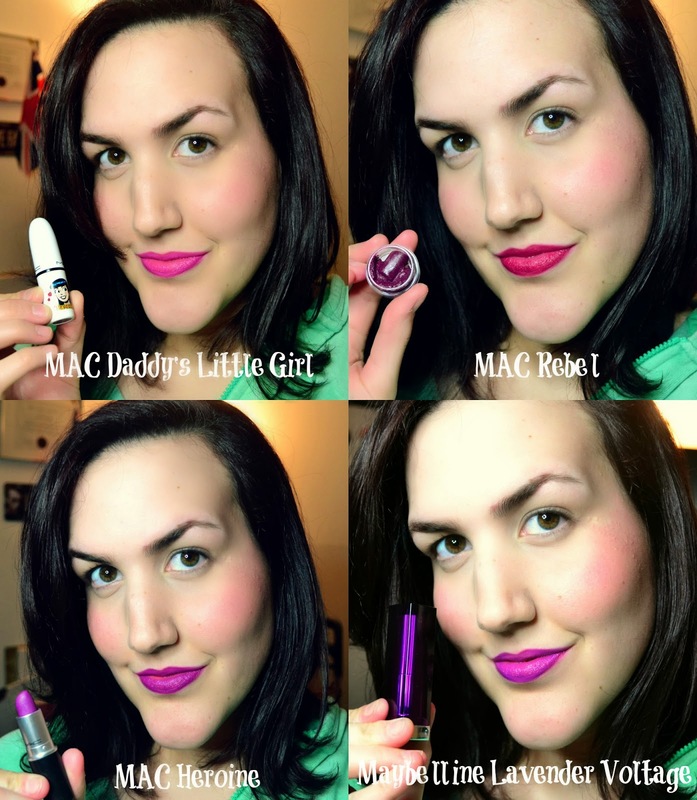 CarolinaCupcake Makeup: Radiant Orchids and Electric Purples! Oh and p.s I'm not wearing any makeup in these photos (just a little bit of concealer under my eyes, good lighting and of course, the lipsticks). So let's get started with the first batch! First up is Maybelline's Neon Baby Lips in Berry Bomb. It's a darker purple in the tube but swatches quite sheer, offering a light wash of purple for those girls who want a purple tint with out the BAM IN YOUR FACE! 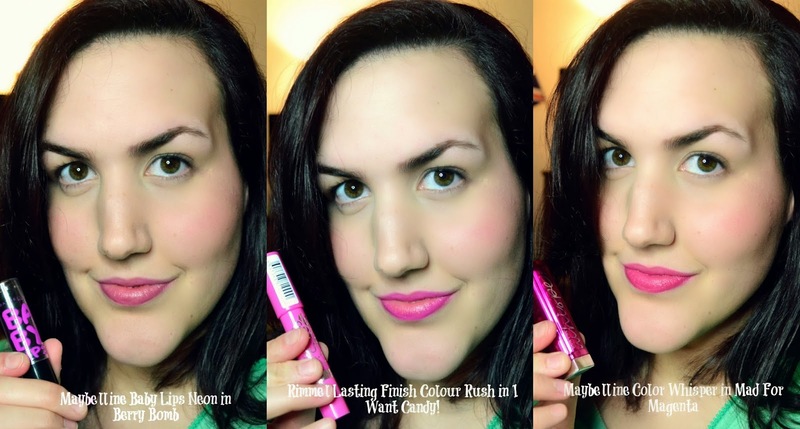 Next we have Rimmel's Lasting Finish Colour Rush in I Want Candy. First of all, let's talk about the smell. It's like opening a package of mini eggs- vanilla cupcake yumminess! This color is a bright pinky magenta and offers a gorgeous stain. 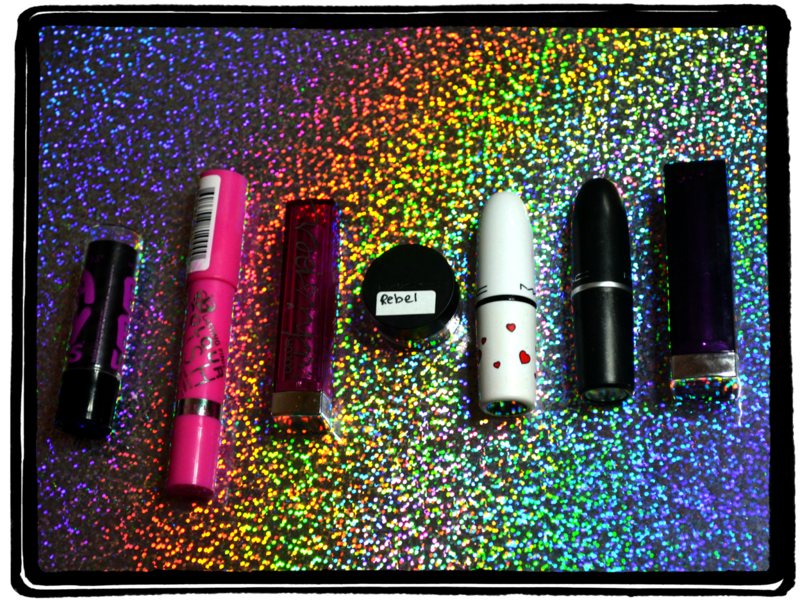 In this corner we have the limited edition lipstick from MAC called Daddy's Little Girl. It's literally the bomb dot com. So glad I got this. It's a true blue toned Magenta and it lasts forever and is just plain gorgeous! Next up is MAC's Rebel. This cranberry shade has hints of purple in it, which I thought fit well into this list of lippies! And here we have the 'piece de resistance'; MAC's Heroine. I can't even with this shade. It's such a GORGEOUS purple and it has a pink tone in it which makes so wearable and stunning! It's not for the faint of heart, but it's definitely one of my all time favorite lipsticks (right next to MAC's candy yum yum). Hope you enjoyed this Selfie Swatch Fest! Don't be afraid to wear purple- it comes in many different tones and finishes!